Have you been told by your audiologist that you need hearing aids? Hearing aids can improve your quality of life and make sure that you don’t have to suffer alone. Instead, you’ll be able to communicate effectively once more, socialize and enjoy some of the many things you love. For instance, you can listen to music, play games and even go to the cinema. When you speak to an audiologist, you’ll find that there are actually a variety of styles and types of hearing aids. One possibility would be in-the-canal (ITC) hearing aids. ITC hearing aids are an advanced option and are becoming incredibly popular so let’s look at the features of this style and why you might want to consider them for yourself. ITC hearing aids are designed to fit fully inside the ear canal. This means that once they are in your ear, you will never see them and neither will anyone else. As such, they can be the perfect choice for anyone who is embarrassed about wearing hearing aids. You might think that a device like this would be uncomfortable. While it might feel a little peculiar at first, the soft design ensures that eventually, you won’t realize that they are there at all. As you might have guessed, the types of hearing aids do have very long batteries to ensure that they can continue to operate without stopping for weeks. The first thing that you need to be aware of about ITC hearing aids is that they are only suitable for certain types of individuals with particular hearing difficulty. In other words, hearing loss that is mild rather than severe. Your audiologist will tell you the degree of hearing loss you have and whether or not these hearing aids could benefit you. 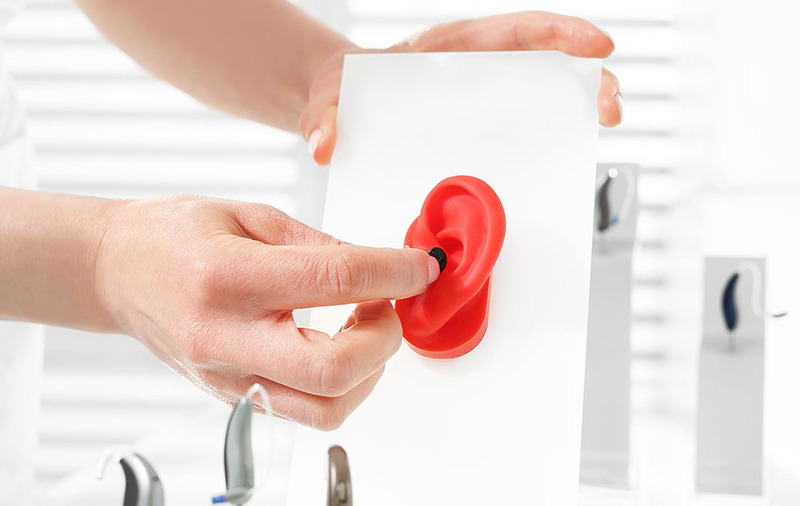 People are often curious about why these can’t be used for all types of hearing loss. The simple answer is that they are just not powerful enough. That said, if you are suffering from mild-to-moderate levels of hearing loss, then you can perhaps benefit from this type of technology. We hope you see now that ITC hearing aids can be the best option for your needs. If in doubt, do speak to your audiologist about this possibility. They will be able to help you determine whether these are indeed the hearing aids for you.